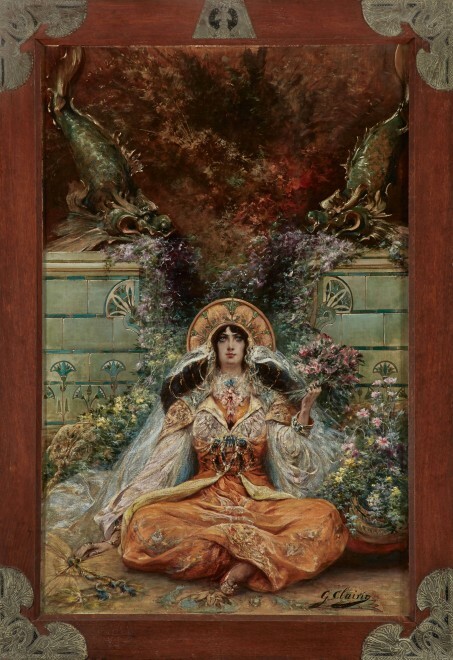 images of the “Divine Sarah” in allegorical works (fig. 4b),12 and in both private moments (figs. blindness and terrible torture after which she dies in the arms of the Buddha. the central figure and to then extrapolate all the surrounding action or ethos of the particular play. watercolor of Sarah wearing a kimono (fig. 21).